RESORT Code Analysis is a commercial product. The licensed customers can be downloaded from the Soft4Soft customer support online. RESORT Code Analysis's CWE ruleset is updated by the Security Research Team when is released every product. Updates to RESORT Code Analysis's CWE ruleset occur with every release and we are delivered CWE compatibility update to customer. This also is found at CWE ruleset file (cwe.audit.properties) of /RESORT_HOME/config folder that is provided within the product. The CWE ruleset file includes the CWE Identifiers. For example, suppose we want to search for warnings associated with CWE-476. The results will then be applied to the list of defects. 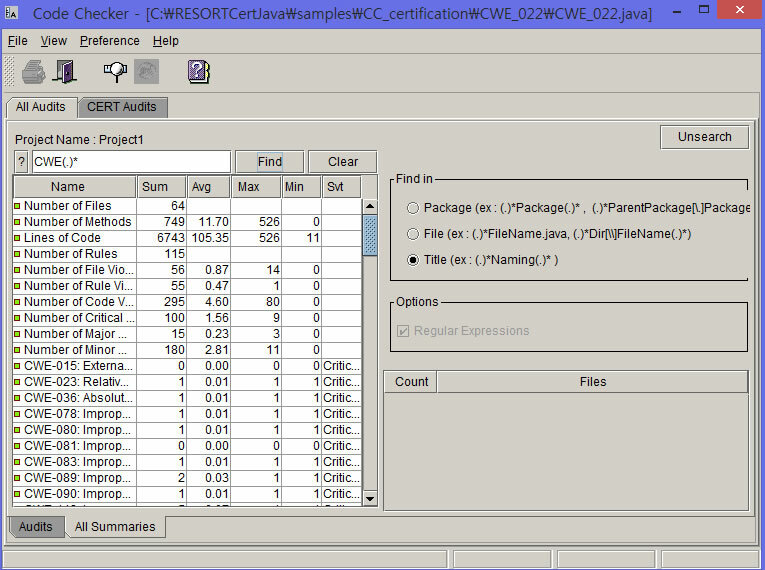 The RESORT Code Analysis provides CWE-ID reports and lists the defects identified by the tool. 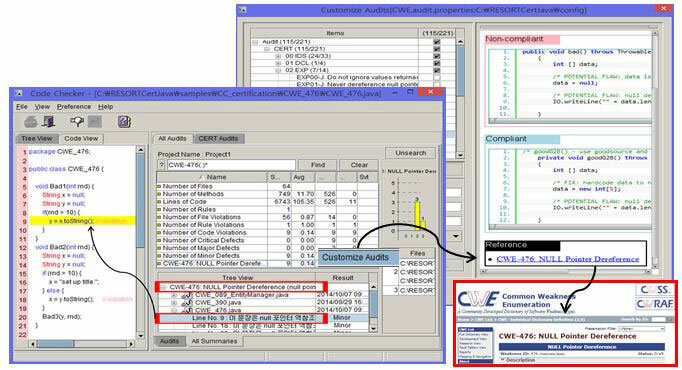 All of the CWE identifiers in our tool are linked to specific CWE-ID page on the CWE website by help feature (Customize Audits). RESORT Code Analysis does not currently provide the CCR XML document. Our electronic document format is XML or Excel (see ). The user can search for specific CWE-related text using the "Find" feature (Ctrl-F). 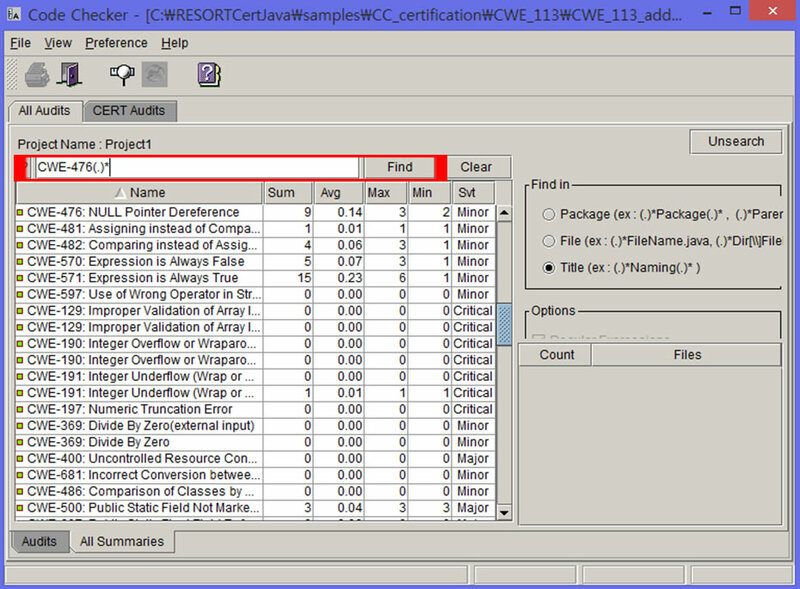 RESORT Code Analysis documentation provides CWE-IDs and their full names (see <CR_A.2.3>).